In addition to helping injured people and their families to get through some of the most difficult times in their lives, trial attorneys also seek to make a difference at our State House. Each year the Massachusetts Academy of Trial Attorneys proudly commits to its ongoing effort to be the organization that stands up for individual rights and takes the necessary steps to monitor and address legislation which would take away the rights of consumers, injured victims or their families. We prepare written testimony, attend hearings, testify and meet with legislators and their staff. We do all we can to explain the negative impact that certain legislation would have on individuals and try to bring about the necessary changes that would protect them. Year in and year out, MATA responds to proposed legislation which would eliminate certain types of legitimate and valid claims, limit the damages an innocent victim can be awarded by a jury, or create additional unnecessary legal requirements for an individual to bring a valid claim. MATA will continue its efforts to voice its opposition to these proposals and to take the necessary steps to prevent them from becoming law. In addition to spending a great deal of time opposing bills which would eliminate important individual rights, MATA members testify in support of bills which would improve our civil justice system. For decades, our members have prepared testimony, testified at hearings and met with legislators in an effort to bring about positive changes for individuals and their families. We have worked closely with the legislature on many occasions to make a meaningful difference for the legal community and our clients. In recent years, MATA has played a critical role in the creation of laws which have benefited our civil justice system. A great example is the area of trial practice. Parties are now allowed to conduct voir dire and they are allowed to ask the jury to award a certain number in a civil case. MATA’s efforts continue to make a difference for our members and our clients. If an executor or administrator has not been appointed, then an action allowed under this section may be maintained without such appointment, and shall be maintained naming the decedent as the defendant. In such event any service of process that may be necessary shall be made upon the entity providing the insurance or bond. The case would be maintained against the decedent in name in order to avoid the appearance and possible prejudice to the insurer of a direct claim against the insurer. In March of 2012, however, the Uniform Probate Code (“UPC”) incorporated the original first paragraph of c. 197, §9A as c. 190B, §3-803(d)(2), but omitted the second paragraph, hence re¬creating the administrative overlap corrected by Chapter 319 of the Acts of 1993. The omission in the UPC created an even greater problem than the one that existed before the 1993 amendment, because creditor’s administration is not possible under the UPC. Creditors can petition for someone else to be appointed as personal representative under certain conditions, but this is a costly and sometimes difficult process which creates unnecessary burdens for Plaintiffs and their counsel. House Bill 1194 simply re-inserts the language of what was the second paragraph of c. 197, §9A. This bill would save costs associated with the opening of an estate and move cases through our civil justice system in a more efficient and cost effective manner for all involved. The Judiciary Committee also reported out favorably a bill that would allow parties to conduct audiovisual depositions without having to file a motion with the Court. House Bill 1193 would update current Rule 30 by allowing any party seeking an audiovisual deposition of any witness to do so as a matter of right, without having to obtain the agreement of all parties to the lawsuit or file a motion in court. The party seeking the audiovisual deposition would simply state that fact in its deposition notice. The party seeking the audiovisual deposition would pay for the cost of the videographer and copies of the DVD produced, so the other parties would bear no additional expense for the audiovisual deposition. The actual procedure for the deposition itself would remain unchanged from current Rule 30A, which has been in effect since 1981. Since 1981, when Rule 30A of the Massachusetts Rules of Civil Procedure became effective, Massachusetts has fallen behind every other state and the Federal Courts with respect to audiovisual depositions. In 1993, the Federal Rules of Civil Procedure were amended to authorize deposition testimony by non-stenographic means without first having to obtain court permission or agreement from other parties to a lawsuit. The other forty-nine states have recognized the advantages of audiovisual recording of depositions and allow them as a matter of right either in lieu of, or in addition to, stenographic transcripts. This bill would bring Massachusetts into line with all the other jurisdictions. MATA is fortunate to have Paul Dullea and the MATA staff to support the Legislation Committee’s efforts. They help to mobilize people when they are needed most. They play a vital role in helping to gather information which is necessary to support MATA’s position at the State House relating to new bills. MATA also is fortunate to have attorneys who volunteer to testify. In the most recent session, Annette Gonthier-Kiely, Mike Najjar, Steven Shaffer and Mike Conley were great representatives of MATA at the State House. I also had the privilege of testifying on behalf of MATA on a number of occasions. We are lucky to have such a strong and committed membership. It truly is a team effort. We appreciate the fact that so many Representatives and Senators take the time to meet with us and carefully consider our position at the hearings and in meetings. In my experience, they listen and want to know all of the implications of the sections of each bill. They carefully consider the issues. Timothy C. Kelleher is the Chair of the MATA Legislation Committee. For more information on this article please contact Timothy Kelleher at tkelleher@joneskell.com or 617-737-3100. 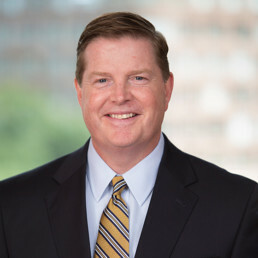 Timothy C. Kelleher III is a partner at Jones Kelleher and has been a trial lawyer since 1990. His practice focuses on civil litigation including serious personal injury cases, general liability, product liability, construction site litigation, medical malpractice, and civil rights litigation.